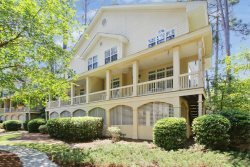 3 bedroom / 2 bath located in Sea Pines Plantation on Hilton Head Island, near Harbour Town, Golf, and Beach! 26 Deer Run offers you the opportunity to sit back, relax, and prop up your feet while hiding from the world in one of earth’s hidden treasures. 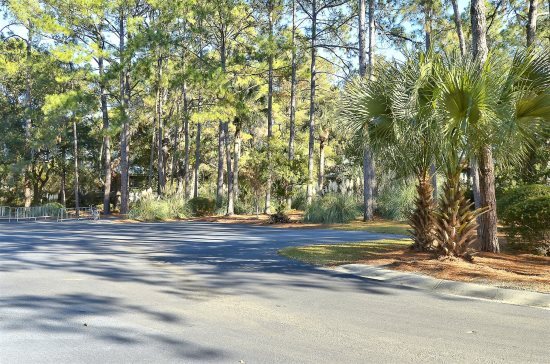 Tucked away in the renowned, Sea Pines Planation on Hilton Head Island, this 3 bedroom, 2 bath home is laced with lush landscape, a bewitching backyard, a fun-size, sun-drenched pool, a placid patio, refined hardwood floors, and a spacious living room for entertaining. Pass the peaceful patio, an awesome place to sit and enjoy the cool evening breeze, and be greeted by the welcoming entry foyer. 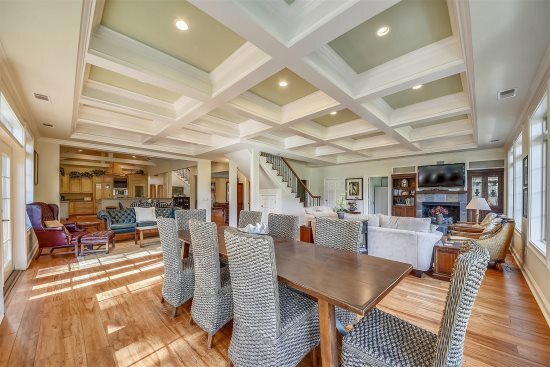 The tidy foyer leads pass the sitting area, home to a two-piece seating group and into the dining room. The dining room features a wooden table with eight comfortable chairs. Off the dining room is the very chic but traditional kitchen. The U- shaped kitchen layout allows for flexibility and provides an expansive countertop space, ample cabinet storage, and stainless steel appliances for gourmet meal making and lots of desert baking. The breakfast nook is just outside the kitchen and is the ideal space for sipping on your morning’s coffee while planning your daily itinerary. The living room is home to a 4-piece seating arrangement, a flat screen television, and a decorative fireplace enclosed in a beautiful textured stone wall mantle. Sliding glass doors lead from the living room to the back patio. The master bedroom features a king bed, a television, plush carpeting, its own private bathroom, and a door leading to the back patio. The other two bedrooms house a queen bed and two twin beds respectively. Both bedrooms also have their own television and they share a bathroom with a tub/shower combination. A washer and dryer is located adjacent to the kitchen for all your laundry needs. The backyard is sure to be everyone’s favorite hangout spot since it features a private pool and an open pool deck equipped with chairs. It is considered the perfect place for a lounging and reading a book or sun bathing. This little piece of paradise will leave you feeling spoiled and dreaming about Hilton Head Island long after you depart. House was very clean, well maintained and has roomy living and dining areas. WQe had friends visit for a few days and we were very comfortable with them there, felt good about the accommodations we offered them, as were they.